Gain a taste of authentic Asia as you tour through a nation of captivating diversity, with Vietnam’s spectacular coast and stunning mountains giving way to bustling cities and markets. From there, discover how Cambodia has emerged from its tragic past and enjoy the chance to visit its ancient temple complexes, which are unrivalled in scale and aura. A tour of Hanoi starts with a trip to admire the mausoleum of the father of modern Vietnam, Ho Chi Minh, before a visit to the wooden house he called home from 1954 through to 1969. Having also visited the One Pillar Pagoda – an important symbol for people of the city – and the first university in Vietnam, you’ll continue to West Lake to see the Buddhist pagodas at Tran Quoc and the Toaist temple of Quan Thanh. In the afternoon, there is the chance to visit Hoa Lo Prison before a tour of the narrow streets and alleys of the Old Quarter. Head away from the busy capital through the rich farmlands of the Red River Delta to Halong, where you’ll join up with your boat for a cruise into the bay. Admire the many islands, rock formations and caverns that litter the area before the anchor drops and you spend the night onboard. Enjoy breakfast onboard your boat as you return to the harbour before travelling back to Hanoi to catch a flight to Danang. 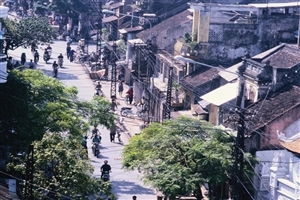 From there, you’ll be transferred to your overnight accommodation in the historic town of Hoi An. Following breakfast, take part in a half-day walking tour around the ancient trading port to see the many sights, including the famous Japanese covered bridge built in the 1590s to link two parts of the town together. Having also visited the local market and checked out some of the former merchants’ houses that can be found in the area, the remainder of the day is free for further exploration at your own pace. Following breakfast, head for Danang to visit the famous Cham Museum, created in the early 1900s to house the largest collection of Cham sculptures found anywhere in the world. Travelling onwards over the picturesque Pass of Ocean Clouds to admire the stunning beauty of the landscape below, you’ll arrive in the fishing village of Lang Co before continuing to Hue for visits to the Mausoleum of Tu Duc and the Imperial Citadel. Following breakfast, you’ll head for the airport to take a flight to Ho Chi Minh, the city formally known as Saigon in the south of the country. 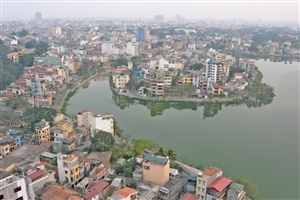 Having been transferred to your hotel on arrival, the remainder of the day is free to explore Vietnam’s largest city. An early morning start will see you leave the city to head for the Cu Chi district to visit the famous tunnels that form part of a larger network running underneath large parts of the country. Built by the Viet Cong and used during a number of military campaigns, including the Vietnam War where it was a stronghold in their assault against Saigon during the Tet Offensive, the tunnels can now be visited to give an idea of what life was like during battle, when some guerrilla fighters would spend months living deep underground. Following your tour at the tunnels, you’ll return to Ho Chi Minh for more free time. Leave the busy surroundings of Ho Chi Minh behind for the drive south to the small town of Cai Be, where you’ll board a boat for a cruise around the floating market. Here, a range of traders do business from small boats, with goods being hung out on poles to try and attract passing trade. Following a visit to a local cottage factory, your cruise will take you to Dong Hoa Hiep Island, with the chance to watch daily life as you travel along the water. Following a local Mekong style lunch and the end of the cruise, head for Can Tho where the remainder of the day is yours at leisure. An early start will see you board another cruise to visit the colourful Cai Rang floating market, where wholesalers do business from larger boats than those seen the previous day. Those boats create lanes that the smaller boats can weave in between as people go about their business, with local fruit and vegetables being the main goods offered for sale. Following lunch at leisure, you’ll make the trip back to Ho Chi Minh for the overnight stay. Leave Vietnam behind with a flight to the Cambodian capital Phnom Penh, a city known for its colonial charm and the historical architecture found lining a number of its tree-lined boulevards. 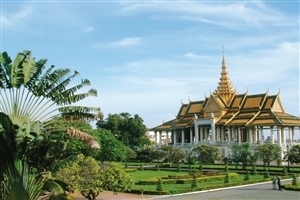 Despite its recent turbulent history, when the Khmer Rouge took control in the 1970s before being driven out by the Vietnamese, Phnom Penh is now a popular destination for travellers keen to experience a city where Asian and Western traditions come together in a fascinating way. A day exploring the capital begins with a visit to the Royal Palace, a complex of buildings which date back to the 1860s and include the stunning Silver Pagoda – which features 5,000 silver tiles covering its floor. Time at the National Museum is followed by a break at your hotel, and a visit to the Child Safe Centre, with the afternoon then providing the opportunity to learn more about Phnom Penh’s recent dark history. First up is a trip to the former school that was turned into the S-21 detention and torture centre by the Khmer Rouge, and which is now home to the remarkable Tuol Sleng Genocide Museum. 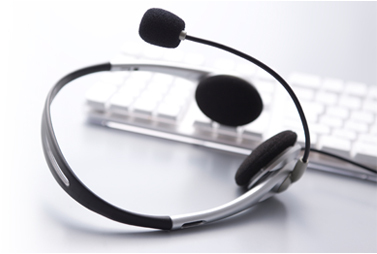 Then, an audio headset guide be provided to tell harrowing stories from survivors of the atrocities on a visit to the Killing Fields of Choeung Ek, where a memorial park has been created around the mass graves of thousands of Khmer Rouge victims. Following breakfast, you’ll head for the airport for the flight to Siem Reap, the closest city to the famous Angkor temples. On arrival, you’ll have time to relax or to take a walk around Siem Reap at leisure. An early start will allow you to marvel at the stunning sight of the sun rising slowly over the iconic towers of the Angkor Wat complex, with the opportunity to then explore the ancient temple before the main crowds arrive later in the day. Following breakfast, you’ll head for the city of Angkor Thom to marvel at the Bayon Temple, which is famous for its 54 towers representing the 54 provinces of the Great Khmer Empire. 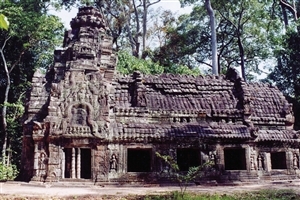 A mid-day rest back at your hotel is followed by trips to the stunning Banteay Srei temple – built from pink sandstone – and the crumbling remains of Ta Prohm, located as it was found in overgrown, jungle surroundings. The final day is yours to spend at leisure, either relaxing at your hotel or exploring the local area, before heading to the airport for your flight home.